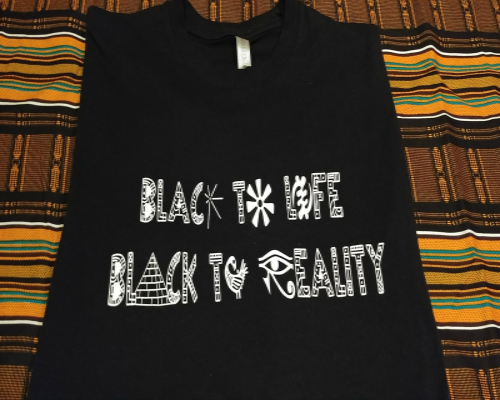 Eccentric Vibes — the Bay Area clothing company founded by Imani Baylor — truly lives up to its name. 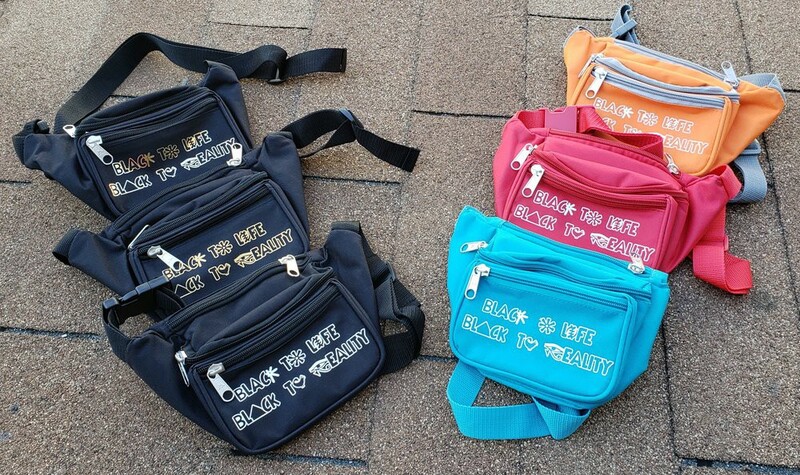 The funky collection of clothing, dad hats, and fanny packs combines creative flair with quality apparel. And despite its many offerings, Eccentric Vibes is still a young brand. 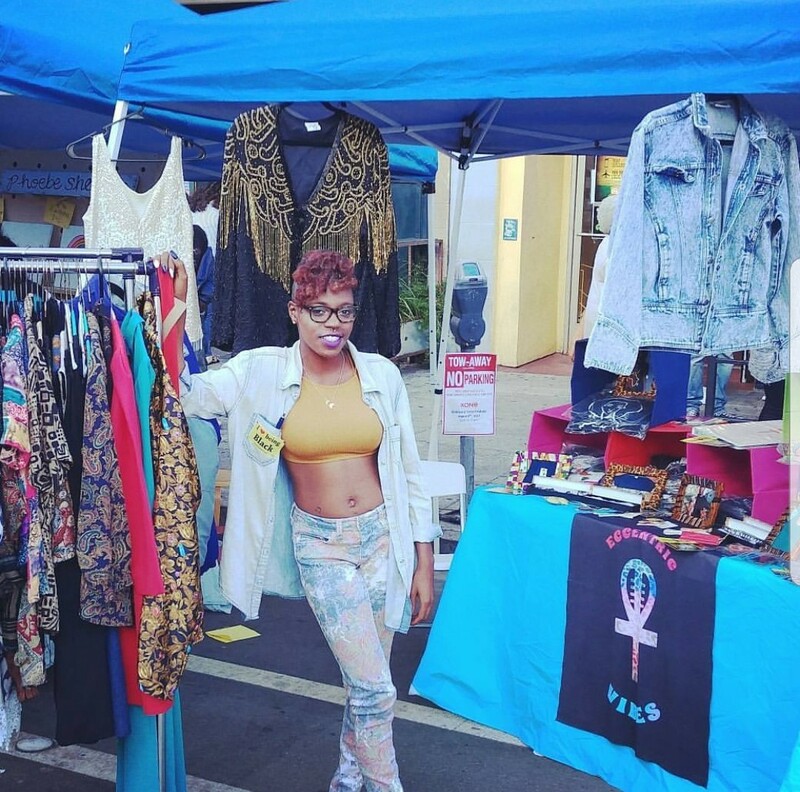 Imani started it just last year as a way to pay for her youth services non-profit. In her own words, Imani shares the challenges, lessons, and successes of her first year in business. Why did you start Eccentric Vibes? What’s one of your favorite Eccentric Vibes moments from the last year? Doing the 2nd Annual SoOakland party curated by Shayla Bang. My table display was very vibrant and people showed me me so much love. The energy was everything! That event set off Eccentric Vibes for me when it comes to doing pop ups. That’s where I made my mark. What’s an unexpected challenge you’ve faced since launching? To be honest, parking for my pop up shops. I live in the Bay Area and almost everywhere is street parking. So lugging my garments from blocks away and making multiple trips is hard. You’re tired before you even set up. And a lot of the time I set up alone unless my boyfriend can help out. I’ve gotten my time down on loading and unloading, but street parking does put a damper on things for me. If you could go back to one year ago, what advice would you give yourself? Don’t expect people you know to support you all the time. I thought I would have a lot of support from my folks. But truth is, a lot of people you know aren’t rooting for you. I do have my few friends, associates, and family members that truly believe in what I’m doing. But the strangers, the potential customers, they truly do support. I have met new people and friends just by doing pop up shops. It’s a good feeling getting recognized for doing something so small but dope. If you had to identify the person who’s had the most influence on your growth as a creative entrepreneur, who would that person be and why? My mom. Everything I’ve learned and created is a reflection of her. She’s a creative and she gets it. In a way she’s my muse. Her creative energy feeds mine. I run my ideas past her and she does the same with me. If my mom doesn’t like my idea 70% of the time, I won’t do it. Entrepreneurship isn’t easy. What motivates you to keep building? The youth I work with. I’m an independent contractor and I started my own business called The I.M.A.N.I (Inspiring Mentoring And Nurturing Individuals) Project, a youth services program serving K-12 Bay Area Students. A lot of the money I make goes to supplies that I need to teach my classes or whatever the need is for my students. Just knowing I can hustle the right way just to make sure they have a great experience in my class is such a good feeling. What words of encouragement would you give another entrepreneur or individual starting their own passion project? I would tell them that even if they have no team behind them, don’t let that discourage you. Somebody is going to want to work with you and give you a chance. It just takes that one opportunity to light that fire.